(Chicago) – The 2018 National Recovery Month toolkit is now available online, offering resources to help increase awareness and understanding of recovery from substance use and mental health disorders and celebrate people living in recovery. Observed each September and sponsored by the Substance Abuse and Mental Health Services Administration (SAMHSA), National Recovery Month––of which TASC is a national Planning Partner––highlights achievements of individuals who have reclaimed their lives in long-term recovery, and also recognizes the treatment and recovery service providers who offer pathways to recovery. The 2018 National Recovery Month theme is Join the Voices for Recovery: Invest in Health, Home, Purpose, and Community. SAMHSA annually creates a Recovery Month toolkit, which provides outreach templates, tips for event planning and community outreach, information and data on behavioral health conditions, and resources for prevention, treatment, and recovery support services. The toolkit and PSAs can be used to organize events, issue proclamations, and increase public awareness. The online toolkit also offers dozens of video and audio public service announcements (PSAs), including new PSAs in 2018 entitled r is for Recovery and Voices for Recovery. The PSAs are available in both English and Spanish, and are offered in both 20-second and 30-second versions. 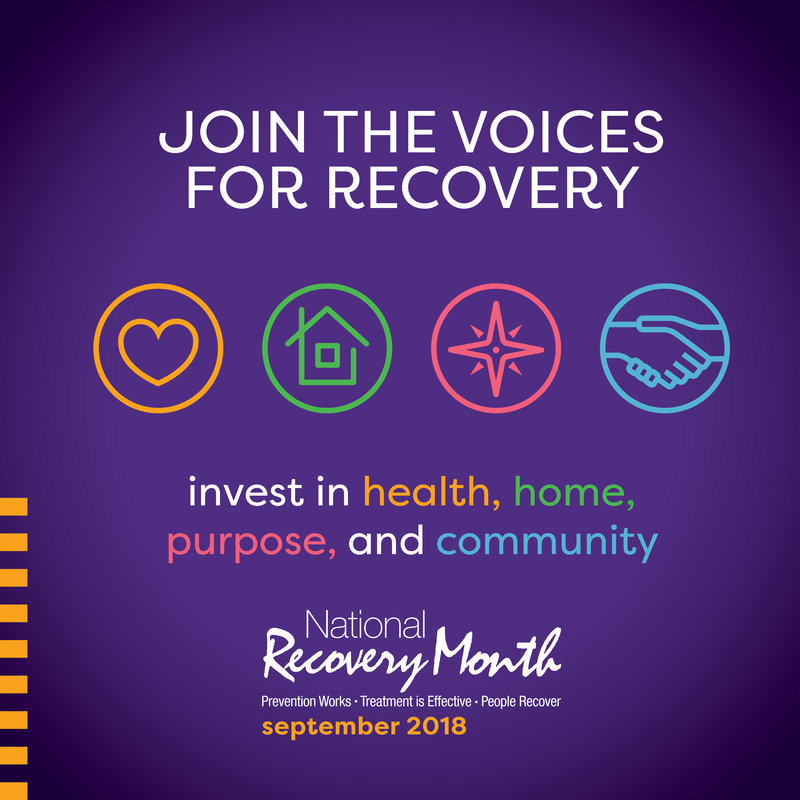 To help celebrate recovery and elevate awareness of its prevalence across the country, organizations and advocates are encouraged to post and promote Recovery Month events on the National Recovery Month website. 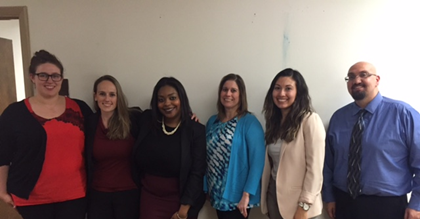 (Chicago) – Post-graduate interns with the Integrated Community Behavioral Health Training Consortium (ICBHTC) completed their capstone projects on May 3, having gained skills and knowledge in the treatment of substance use disorders, mental health, and TASC’s interface with the justice system. ICBHTC is an innovative, multidisciplinary post-graduate internship program designed to develop health care leaders equipped to address the pressing primary and behavioral health needs and disparities of vulnerable, at-risk individuals and groups. Now graduating its second class of interns, the program was initiated in 2013 through a collaboration of Chicago-area graduate programs, including Governors State University, the University of Illinois at Chicago’s School of Public Health, the Chicago School of Professional Psychology, the Illinois Area Health Education Centers, and TASC. 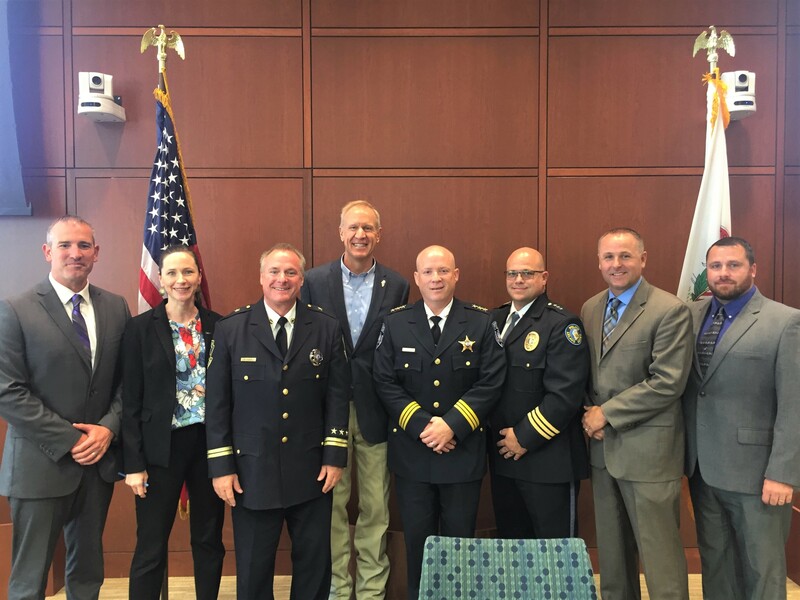 The effort has been guided and supported by the Substance Abuse and Mental Health Services Administration’s Region 5, led by Captain Jeff Coady. The program places student interns in criminal justice and community-based settings, and facilitates weekly multidisciplinary seminars. Student interns gain clinical, public health, and policy knowledge that offers an integrated experience reflective of the need for person-centered health care inclusive of substance use and mental health treatment and evolving health care delivery systems. 2016 ICBHTC Intern Class (left to right): Amanda Auerbach, Jessica Garner, Cassandra Simmons, Jennifer Chmura, Delilah Portalatin, Anthony Barlog. Not pictured: Rebecca Gonzalez. 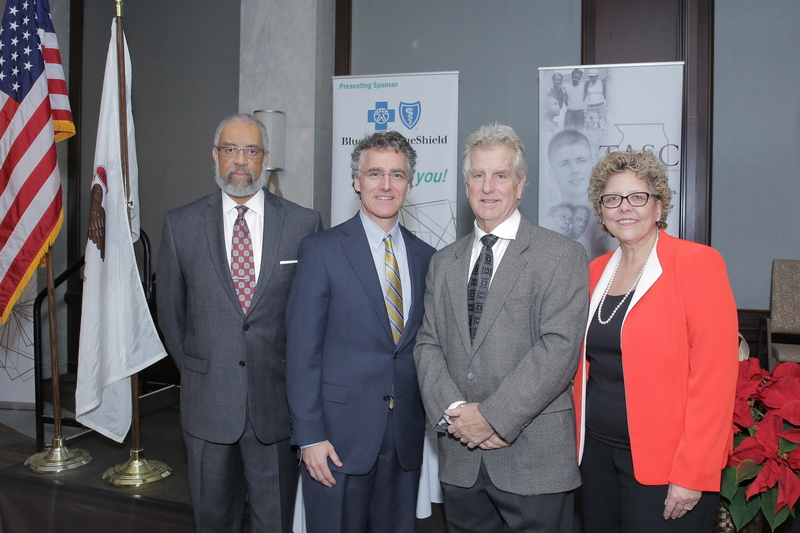 (Chicago) – TASC held its 2015 Leadership Awards Luncheon on December 10, honoring Cook County Sheriff Tom Dart and entrepreneur Bill O’Donnell for their advocacy on behalf of people with mental health and substance use disorders. Since 2013, the Cook County Sheriff’s Office, working with TASC and the Cook County Health and Hospitals System, has enabled individuals detained at the jail to apply for health insurance. Prior to the expansion of Medicaid under the ACA, the vast majority of people entering U.S. jails lacked insurance, hindering their access to treatment for chronic substance use and mental health conditions that often contribute to rearrest. TASC Public Voice Award Recipient Bill O’Donnell noted that he might well have gone to jail for his behavior while he was in the throes of addiction. Coming from a family driven to “achieve, achieve, achieve,” O’Donnell was a successful businessman who became addicted to alcohol and cocaine in the 1970s. O’Donnell went on to found Sierra Tucson in 1983, an internationally-recognized treatment center that was among the first to involve family members in the recovery process. The value of helping one another was highlighted in two videos accompanying speakers’ remarks. Dart introduced a video depicting personal stories of people who now have health insurance thanks to enrollment efforts at the jail, and Rodriguez presented a video featuring participants in Winners’ Circles, which are peer-led recovery support groups for people who have been involved in the justice system. TASC has been engaged in initiatives at the intersection of health and social justice since 1976, explained TASC Board Chair Cecil Curtwright. “I believe that our highest human calling is to help others—directly, if possible, and if not possible, to support those who do, with whatever means and talents available to us,” said Curtwright, who is the associate vice provost for academic and enrollment services at the University of Illinois at Chicago. Among other dignitaries attending TASC’s event were previous honorees, including Gino DiVito, retired appellate court justice; Melody Heaps, TASC founder and president emeritus; and Toni Preckwinkle, president of the Cook County Board of Commissioners. Chairing TASC’s 2015 event committee was John Zielinski, vice president and financial advisor at William Blair, who, along with other volunteers and generous donors, guided TASC’s most successful fundraising campaign to date. Zielinski extended special thanks to Blue Cross and Blue Shield of Illinois, the presenting sponsor of the event, along with numerous other generous sponsors and raffle prize donors. TASC 2015 Leadership Awards Luncheon in Chicago. Left to right: TASC Board Chair Cecil Curtwright, Justice Leadership Honoree Tom Dart, Public Voice Leadership Honoree Bill O’Donnell, TASC President Pam Rodriguez. 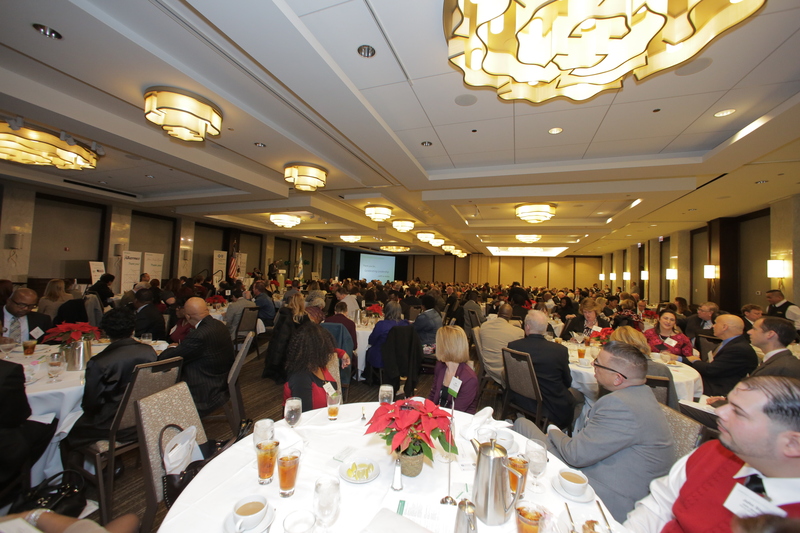 Supporters filled the Westin Michigan Avenue ballroom for TASC’s 2015 Leadership Awards Luncheon. Photos by Uk Studio. (Chicago) – The University of Chicago announced the winners of the Urban Labs 2015 Innovation Challenge grants on October 12, including a $1M grant to TASC, the Heartland Alliance, and the Cook County Sheriff’s Office to support people with mental illness as they are released from the Cook County Jail. Timothy Knowles, the Pritzker Director of Urban Labs, and Chicago Mayor Rahm Emanuel made the announcement during a Chicago Ideas Week event, which included a panel discussion with WomenOnCall.org founder and President Margot Pritzker, Philadelphia Mayor Michael Nutter, and host Cheryl Corley of NPR. The 2015 Urban Labs Innovation Challenge focused on the areas of health, poverty, and energy and the environment. Advisory committees comprising civic leaders, practitioners, funders, and academic experts selected the grant winners from a pool of more than 100 applicants. 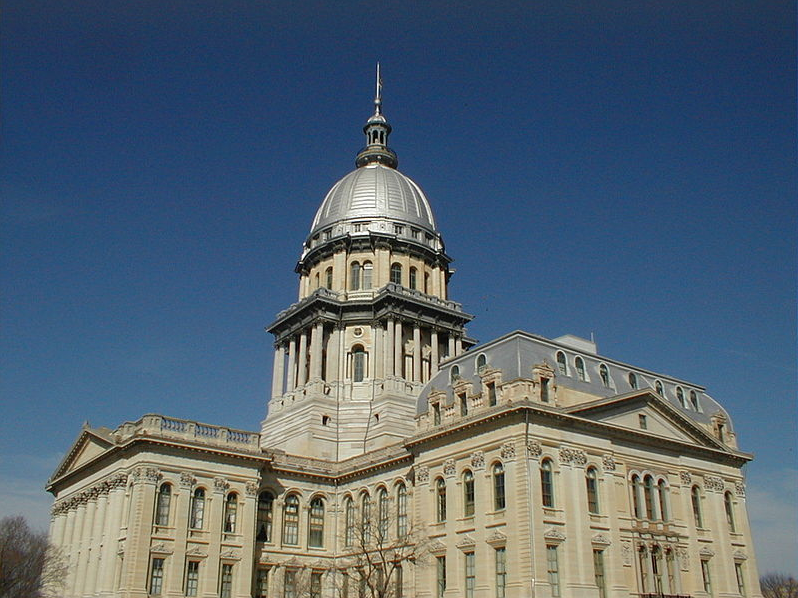 The grant will enable the launch of a Supportive Release Center to help individuals with mental illness transition to services in their communities following their release from the Cook County Jail. It also will include rigorous evaluation—conducted by the Health Lab—to empirically examine outcomes and better inform practitioners and policymakers about its effectiveness, cost-efficiency, and potential scalability in the long run. The Urban Labs’ collaborative approach recognizes that many long-term challenges in cities are related, and require unified responses. 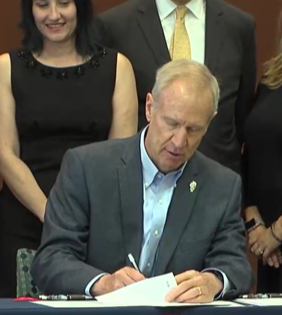 Public-private partnerships are central to the approach of the project, and in fact Blue Cross Blue Shield of Illinois already has made a $50,000 commitment toward the Supportive Release Center. The Cook County Jail admits approximately 100,000 men and women annually. Among the average daily population of 9,000, 20 to 30 percent are estimated to have a mental illness. The project builds upon other collaborative strategies to improve access to health care for people leaving the jail. These aligned and reinforcing efforts include the Justice and Health Initiative funded by The Chicago Community Trust, the Justice Advisory Council, and the Cook County Health and Hospitals System, as well as the planning and pilot project funded by the Michael Reese Health Trust, and the service network innovation collaborative funded by the Polk Bros. Foundation. For additional coverage of the announcement, see articles in the Chicago Tribune, Chicago Inno, DNAChicago, UChicagoNews, and social media posts at #InnovationChallenge.